Joshua is an ABA Therapist at Building BLOCS who provides services for individual and group clients. Joshua received his Bachelor’s degree from the University of Texas-Pan American in 2009. He has experience in juvenile corrections and mental health case management prior to his time in ABA. 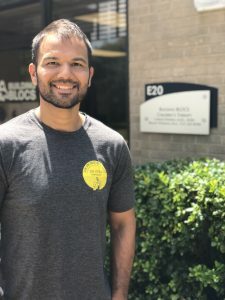 He has 2 years of previous ABA experience working with 4-11 year-olds before moving to Austin to work at Building BLOCS. He is also certified to teach special education classrooms in grades K-12 in Texas. His career goals are to go back to school to receive his Master’s in Special Education as well as becoming a special education teacher. His areas of interest are personal independence, challenging behavior and social skills. In his free time Joshua spends his time at the gym, exploring the city of Austin by getting lost while running on trails, playing video games or looking for the next great food truck to eat at.